(Whitewater Valley)--Some local communities are changing their trick-or-treat times due to nasty weather in the forecast Wednesday night. So far, Richmond’s trick-or-treat is still Wednesday night from 5-8, although that could change at some point. Connersville has postponed until Friday night. Liberty’s trick-or-treat is now set for Saturday night. 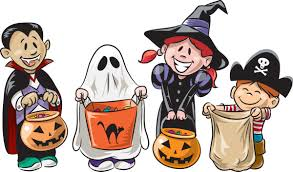 Eaton’s trick-or-treat is on for tonight; that’s when it was originally scheduled.